Dimensions 0.50 by 5 by 7.75 in. Selected by the Times Literary Supplement as one of the "hundred most influential books since the war"
How can we benefit from the promise of government while avoiding the threat it poses to individual freedom? In this classic book, Milton Friedman provides the definitive statement of his immensely influential economic philosophyâone in which competitive capitalism serves as both a device for achieving economic freedom and a necessary condition for political freedom. The result is an accessible text that has sold well over half a million copies in English, has been translated into eighteen languages, and shows every sign of becoming more and more influential as time goes on. About: Selected by the Times Literary Supplement as one of the "hundred most influential books since the war"How can we benefit from the promise of government while avoiding the threat it poses to individual freedom? 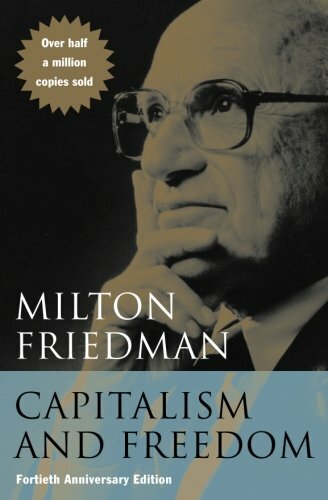 About: #10 on National Review's List of the 100 Best Nonfiction Books of the Century Milton Friedman argues that the appropriate role of competitive capitalism occurs when the majority of our economic activity flows through private enterprise within a free market environment.